54?40 is an alternative rock band which formed in Tsawwassen, British Columbia, Canada in 1981. For most of their career, the band consisted of Neil Osborne (vocals), Phil Comparelli (guitar, trumpet, vocals), Brad Merritt (bass) and Matt Johnson (drums). Comparelli left the band in 2005 and was replaced by former Matthew Good Band guitarist Dave Genn. The band's best known songs include "Baby Ran", "Ocean Pearl" and "I Go Blind", the latter of which was covered by Hootie & The Blowfish. The band takes their name from the slogan "Fifty-Four Forty or Fight," coined to express the expansionist agenda of James K. Polk's presidency, intent upon controling a contested U.S.-Canada border area. The group formed in 1981 as a trio consisting of Brad Merritt (bass), Ian Franey(drums), and Neil Osborne (vocals). In 1983, Phil Comparelli was added on guitar and vocals, and Franey was replaced by Darryl Neudorf. Matt Johnson replaced Neudorf on drums by 1986. The band announced in March of 2005 that Comparelli had officially passed on guitar duties to Dave Genn, formerly of Matthew Good Band. 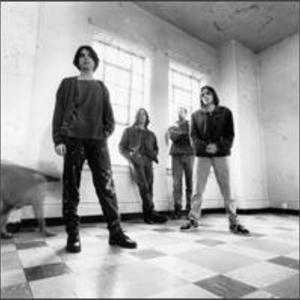 Although the band was popular on college radio in the United States, they never had a commercial breakthrough -- 1992's Dear Dear was their first album not to have a U.S. release. Ironically, though, it was their best-selling album in Canada, leading to a new U.S. contract for the follow up, Smilin' Buddha Cabaret, which had a significant hit in "Ocean Pearl". The band's song I Go Blind was covered in the mid-1990s by American band Hootie & the Blowfish. The band's most recent album is 2008's Northern Soul released September 30th,2008 and they wrapped up their tour of Canada at the end of November 2008.